One of those films where most of the best bits are in the trailer! However, if you haven’t seen the trailer & fancy ‘a few’ laughs you could do worse than Ferrels latest offering (cough stranger than fiction cough). 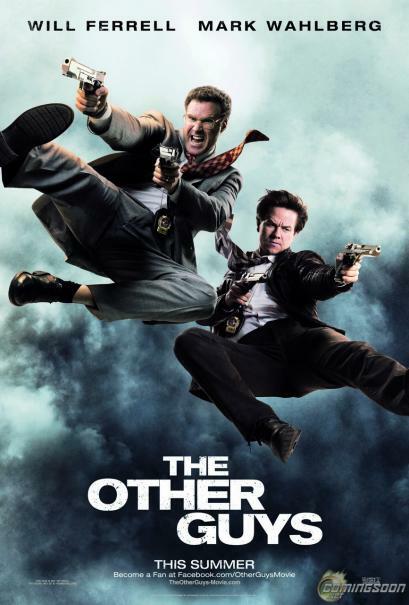 Wahlberg is brilliant as the twisted comedic version of his ‘Departed’ character. But the highlight has to be the short lived combo of SLJ and The Rock. Over the top aggression and arrogance is right up their street, but it’s all spent in the blink of an eye. Premature is an understatement. Ferrel is trapped under the ginormous shadow of Anchorman yet again. He never seems to try imitating Ron Burgundy yet his characters always seem akin, relying on the same obnoxiously dumb delivery. Something new please Will…must try harder!